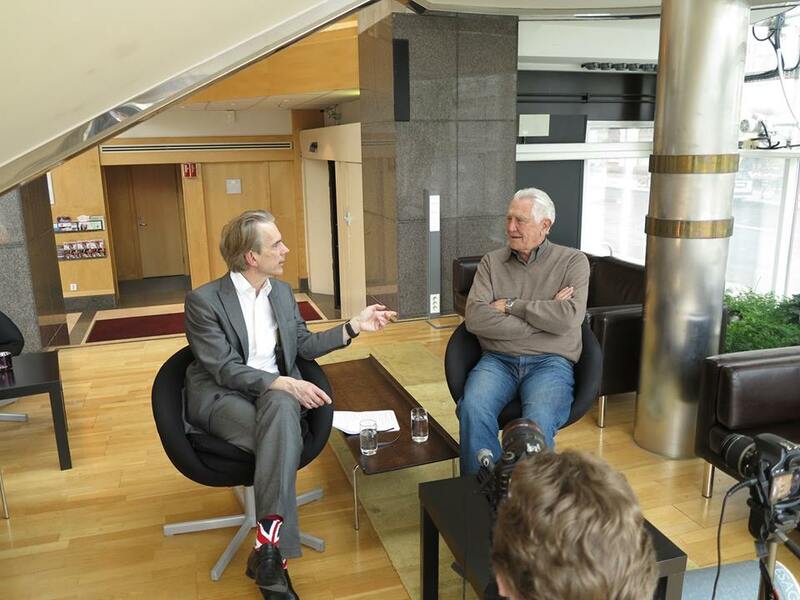 An Exclusive Interview George Lazenby, who played James Bond 1969 ”On Her Majesty’s Secret Service” Interview with George Lazenby were held m Malmö 28/2 . The world’s largest collection of cars from the James Bond film series is currently up for sale in the United Kingdom. What makes this even more interesting is the fact that the current owner of the collection wants to sell everything as one lot for 20 million pounds! The man behind the collection, multi-millionaire Michael Dezer purchased many of the cars from a James Bond museum in 2011. In the preceding two years, he added a selection of other James Bond vehicles and as it stands, the collection consists of 59 vehicles. As it stands, all the cars are currently on display in a Miami museum. When discussing the process of Dezer purchasing the vehicles, British sales representative Stuart Donovan said, “When I first heard about the collection I phoned Michael and he flew in on his private jet. We picked him up, he then bought all of the cars and flew home later on. There are six Aston Martins including two DB5s, one of which was Pierce Brosnan’s in Goldeneye. It includes both of the ice cars. “It is the best private collection of Bond cars in the world but it is probably in the wrong place being in Miami. Some of the most notable vehicles in the collection include a white Lotus Esprit Turbo from ‘For Your Eyes Only’, Jaguar XKR from ‘Die Another Day’, ‘Tomorrow Never Dies’ BMW 750il, Aston Martin V8 from ‘For Your Eyes Only’, BMW Z8 from ‘The World is Not Enough’ as well as a Lockheed Jetstar Jet from ‘Gold Finger’! I anledning af 50-året for den første agent 007-film skulle du unde dig selv den sjove oplevelse at aflægge et besøg i verdens eneste James Bond-museum. Af alle steder ligger det i landsbyen Nybro i Småland. Og drives af en reservedelsforhandler, der tidligere hed Nils Gunnar Schäfer, men som for fem år siden fik de svenske myndigheders tilladelse til at ændre navnet til Nils Gunnar Bond James Schäfer. Han åbnede lige før årtusindeskiftet sit 350 kvadratmeter store ”007-museum”, hvor man bl.a. kan se Daniel Craigs badebukser fra ”Casino Royale”, en Jaguar-sportsvogn, en snescooter og en motorbåd fra forskellige agent 007-film. Schäfer er så fascineret af James Bond-figuren, at det påvirker hans hverdag: Hans mobilnummer ender på 007. En af hans biler, en BMW Z3, som blev brugt i filmen ”Goldeneye”, har nummerpladen 007 JB. Han trækker mindst en gang om ugen i smoking for at se en Bond-klassiker. Og hans hus i Nybro er opkaldt efter Bond-forfatteren Ian Flemings villa på Jamaica, Goldeneye. Nybro ligger i øvrigt i Glasriket – den del af Småland, hvor glasværkerne ligger spredt rundt om og har åbent hus for besøgende. Tekst til billedet: Nils Gunnar Bond James Schäfer trækker blankt i sit museum. Ian Fleming in this brand new drama, coming to Sky Atlantic HD in 2014. Fleming – Coming Soon to Sky Atlantic Dominic Cooper plays Ian Fleming in this brand new drama, coming to Sky Atlantic HD in 2014. A trailer for the four part biopic based on the life of Ian Fleming is now available to view on YouTube, days before it airs in the UK. The series, simply called Fleming, debuts in the US on BBC America tonight before being seen on the UK’s Sky Atlantic on 12th February. The series has been sold to numerous overseas territories, although is not currently scheduled to be shown in Spain, and stars Dominic Cooper as Ian Fleming and Lara Pulver as his wife Ann.